So how do you take care of it? What can you do to make sure that your naturally beautiful skin stays healthy and looking young, even when it goes through so much every day? For many, the way to younger looking and glowing skin leads them to mass-marketed products made with toxic chemicals and artificial ingredients known to cause allergic reactions or even serious and permanent damage. Or products that create clogged pores and trigger premature aging and other undesirable side effects. We believe in something different. A path to healthy skin that embraces our philosophy of all natural and organic skin care. Remember, your skin is alive, growing and absorbing whatever you put on it. Can you really afford to coat it with artificial, lab-invented compounds? Compounds that linger and build-up, often never truly leaving your body? As a natural skin care company, we strongly believe that nature has given us everything we need to look and feel beautiful. Our team has worked for years, coming together in researching and developing a line of organic and natural products that will leave your living skin glowing, nourished and healthy. 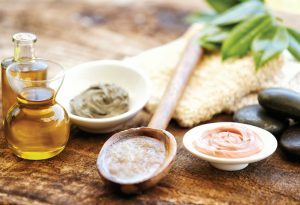 We understand that the path to overall health includes a skin care routine that consists of products. Products made exclusively with organic, natural ingredients that are always non-GMO and cruelty free. From simple soaps to invigorating scrubs and powerful essential oils. All of our products feature natural active compounds. Rich in high performing antioxidants, naturally occurring vitamins, and truly amazing natural fragrances. After your first few uses, we promise you’ll look and feel younger, healthier, and more glowing and radiant then ever before. Our commitment to you is making sure you have the knowledge and tools to make the right decision for you and your skin. So if you want more information on how to get healthy skin, visit our store now or check our blog for skin care tips, ideas, and expert opinions.